← Elitist Welcomes NEW client: Hip Hop Artist Mathematics! The moment that you ALL have been waiting for! MY GIVEAWAY! 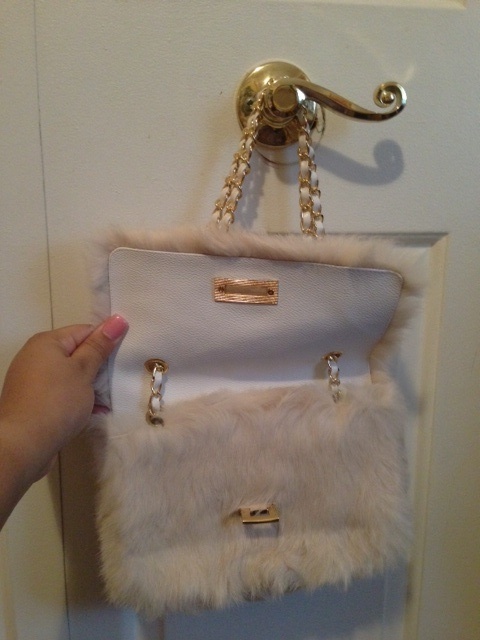 After much deliberation, I have decided that I am going to give away my cute little furry bag from the estate sale. Remember this post? The bag is made out of REAL rabbit fur. It’s the cutest thing ever and I feel that it could use a GREAT home with one of my amazing subscribers! 2. Subscribe to my blog by entering your e-mail address at the top of the home page. Don’t forget to confirm it through your e-mail address! 3. Send me a short snippet of an embarrassing relationship moment that you have had in the past. I will post them anonymously and people can comment on the one that they like the best. The person with the most embarrassing moment/most submissions will win! Use the form below to submit anonymously!